We introduce a combined technique and the mathematical description for distance measurements using a femtosecond pulse laser in a long range and a fine resolution. For distance measurements, the maximum measurable range can be extended by combining measurement results from several different methods while requiring relationships between the different measurement uncertainties and unambiguity ranges. This paper briefly explains why the uncertainty of a rough measurement technique (RMT) should be, at least, smaller than the half unambiguity range of a fine measurement technique (FMT) in order to combine a FMT with a RMT. 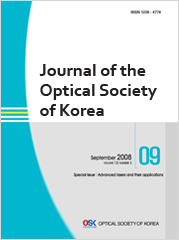 Further discussions about the total measurement range, resolution, and uncertainty for various optical measurement techniques are also discussed.